Healthy Homes. 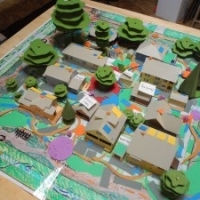 Sustainable Communities. Smart Investments. Intense times call for intense inputs of positive and uplifting inspiration. At Green Key, we walk our talk about healthy communities. Recently our team lent a some hands to Rebuilding Together SF, a local nonprofit providing critical structural improvements in low-income areas around San Francisco. We refurbished the office space of one the oldest community agencies in the Golden Gate. The Bioneers conference is such an honor and inspiration to attend. The entire conference is steeped in the awareness that we are on an heroic quest to evolve human existence into ecological balance. 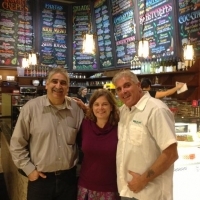 Sharing Success: What makes a restaurant “green”? Ericka Jennings October 17, 2012 Sharing Success Comments Off on Sharing Success: What makes a restaurant “green”? The recent Art of Community event was full of inspiring people and ideas. I was among a couple hundred people dedicated to creating and instigating cooperative culture. Now that’s my kind of fun! This post shares one of the highlights from the event, a community building activity, that I really want to pass along. Have enough community in your life? Cassandra Ferrera September 17, 2012 Events Comments Off on Have enough community in your life? Its what we humans do. Confoundedly, we find ourselves in homes, neighborhoods, and cities that are more supportive of driving, buying, and watching. Lucky for us, we live in a time when we are changing all that! Green Key is proud to partner with people and events that catalyze sustainable communities. Our Chief Community Officer Cassandra Ferrera will be live on 94.1 KPFA this Thursday, August 3rd at 2pm as she joins Caroline Casey on the Visionary Activist show. NEW LISTING: Freshly Updated Spanish Revival in Berkeley! Andy Pitarre May 24, 2012 Listings Comments Off on NEW LISTING: Freshly Updated Spanish Revival in Berkeley! Sun filled bungalow with classic details and modern touches. Hardwood floors and built-in cabinets brought back to life. Updated kitchen / breakfast nook looks out onto the deck and backyard ready to enjoy. Oversized detached garage offers additional flex space. Easy commute from this well located home. Get to know more about us and our colleagues, join the mailing list, and tell us how we can better serve your commercial real estate needs! Come visit us at Green Key Commercial today!